West Waco - In 2017, we opened a full-service branch in the Crossroads West Shopping Center. Recently, we added an ATM at this location to provide 24 hour access to your accounts. 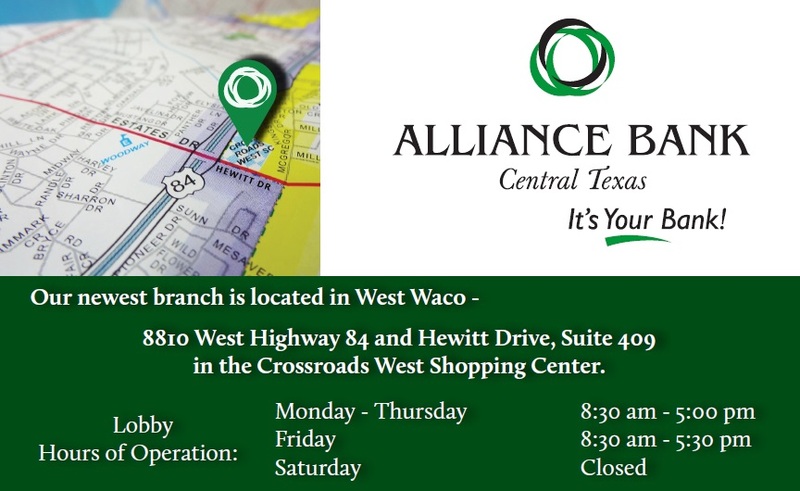 Woodway, Texas - We are in the final design stages of our new 17,000 square foot main branch of Alliance Bank Central Texas. Located in the Colonnade on Highway 84, this location will provide convenient banking services to all of western McLennan County.